While driving up I-5 from Sherwood to Portland, yesterday to meet Eli for a bike ride, I found myself stuttering over the same two swear words in anger over the slow traffic. I was at “Terwiliger Curves,” which sounds ominous, dangerous, and evil like a night-time mountain descent on a twisting road in a rainstorm while fleeing the haunted mansion up at the top. But it’s actaully just two 45 degree turns on the freeway where a bunch of idiots always jam their brakes on and crash into each other. “Oh no there’s a turn in the road, what do I do!!! I don’t know I don’t know I don’t know so I’ll swerve underneath this semi truck here and slam my brakes on, that should be a safe place for me!” I try to drive like I’m in a bike race, using as little energy as possible. This means that when I’m driving I don’t like to slam my brakes on and sprint out of every corner and waste gas. I like to coast down hills and jump in the slipstream of other cars right as I pass them to sling shot around. And of course my director Joe Holmes can explain the intricacies of forming a proper car echelon when there’s a strong cross wind. Back on topic, I was tripping over the same couple swear words, repeatedly using them in the same sentence like some idiot with a tiny vocabulary. They were my two favorite swear words, yes, but still it sounds dumb and trashy to use them that much. I thought that maybe I swear too much in public. It would be nice to have a swear word that no one would know about so you could use it whenever you wanted, even in front of little kids and old people. Plus if you only had one swear word you wouldn’t feel like an idiot while trying to scramble a bunch of different foul words together to form a sentence. It’s hard to think of an adjective AND a noun. One word should be enough. So I started thinking of single syllable words that don’t mean anything but could sound menacing if shouted. I came up with “pint.” I haven’t yet decided whether or not to pronounce it like the measuring unit or they way that it rhymes with lint. Regardless, it works as both an adjective and a noun. Say someone is driving super slow down a hill where if they were going uphill, they’d actually be going faster because they’d be less afraid for some reason: “You stupid pinting pint!! Stop braking on the pinting downhill, you’re in a god pint car for pint’s sake!” Believe it or not I’d normally only use one swear word in this sentence anyways. Actually two but only one of them once. Now that I’m swearing off all other swear words I won’t have an excuse for not being original with my curses. You can’t be original if you’ve only got one option. Other news: I’ve been able to get in two 3-hour rides on Thursday and Friday, and yesterday I rode the Bridge of the Gods route with Eli in the glorious afternoon summer sun. We covered 109 miles in a little under 5.5 hours. My legs are feeling mediocre, which is probably really good considering the circumstances. It feels great to be outside on my bike again, feeling tired after rides, and eating. Pint didn’t work very well in the real world and I ended up yelling good old fashioned swear words at a bus that pulled out in front of me and at some potholes that hurt my collarbone. Speaking of my collarbone, it’s pretty much fully healed. I can even get out of the saddle a bit now. I’m not going to try sprinting for a few more days but it’s doing really well and is healing much faster than I could have hoped for. 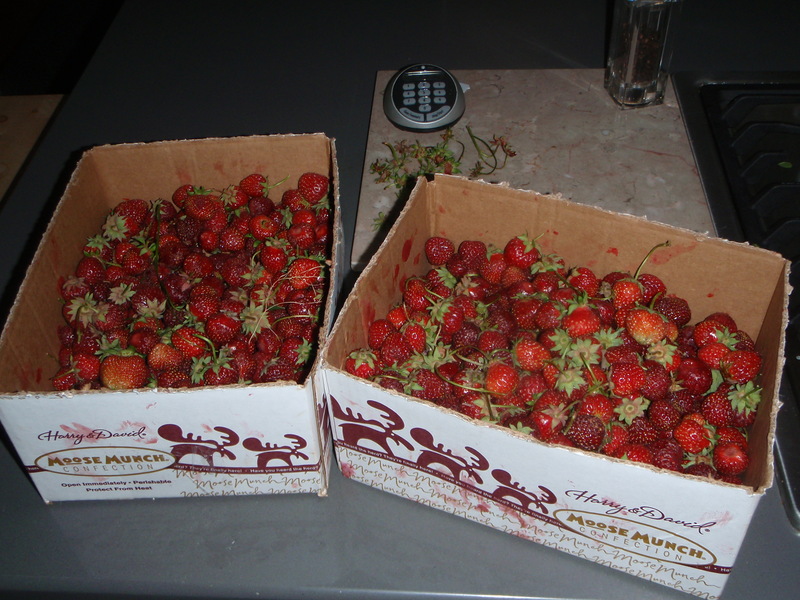 Riding five hours yesterday didn’t bother my collar bone too much, but I felt it after picking strawberries today. I went to a you-pick place and collected about 15 pounds, five of which bypassed the boxes and were collected directly into my mouth. I’m excited to see the color of my bowl movement tomorrow morning. Thomas don’t give a pint. Next Post I can see the future…and it appears to contain a pint-load of intervals. Did you seriously draw pinting eyebrows on Thomas Tabernackle? That is pinting ridiculous! 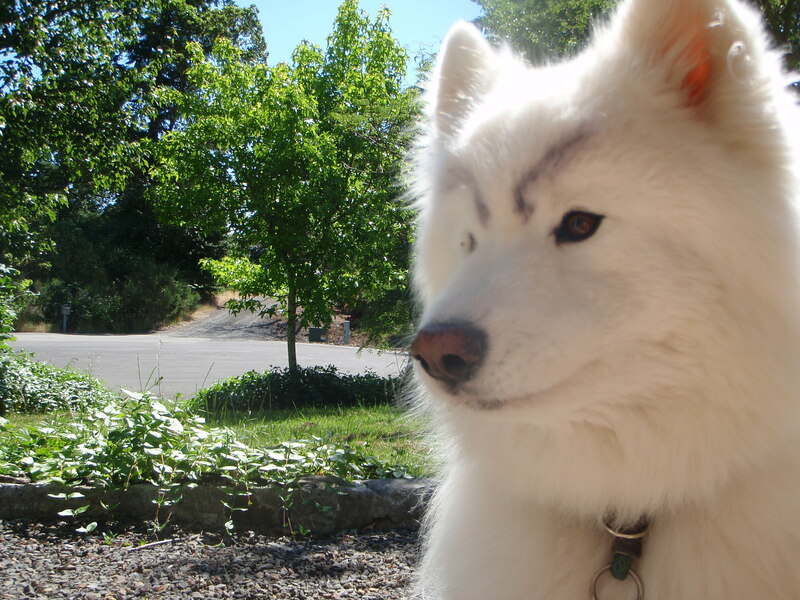 What kind of pint idiot draws eyebrows on their dog? Eyebrow drawing is a long standing Peterson tradition. And Thomas enjoys the distinguished look. “Eybrow drawing is a long standing Peterson Tradition”… What the Pint? Seriously, his last name is Tabernackle and he has his own pint Facebook page. He owns your pint-pint and don’t you forget about it! He should bite your pinting fingers off… Who the pint do you think you are? Pablo Pinting Picasso? Grandma, I’m not sure why younger generations swear so much, you’re right it is a bizarre cultural shift. Though, it’s one good way to let out anger, as opposed to taking it out on women/blacks/jews as the older generations in this country have done. Obviously not everyone in the pre-baby boomer generations did those things, just like not all young people swear. Eli, you shut your pinting mouth before I tell Thomas to gnaw your pint off, you pinting son of a pint! Thomas was awarded three dog bones for letting me draw those, then he chased me around the house biting my hamstrings for 15 minutes while his blood sugar surged and his anger from the Sharpie fumes skyrocketed.